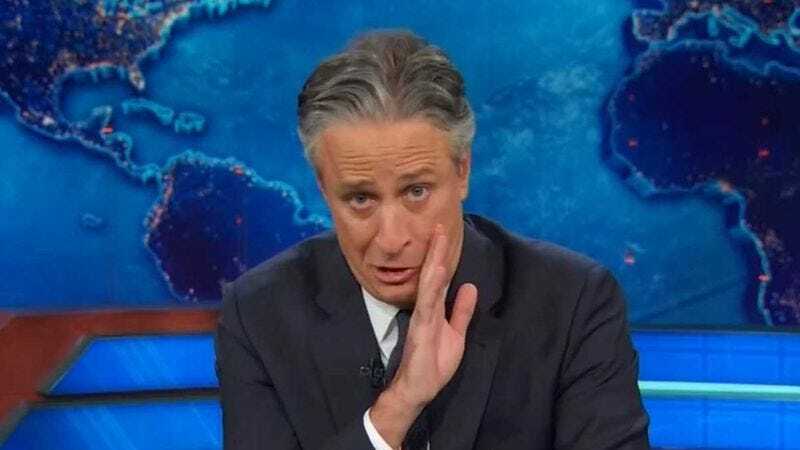 Stewart, who hosted The Daily Show for 16 years, said his enjoyment of the job went through ups and downs, but eventually, “the [down] cycles become longer and maybe more entrenched,” and that hosting the show for so many years gradually sapped his enthusiasm. Perhaps unsurprisingly, our oft-maddening political process did the same. “I’d covered an election four times, and it didn’t appear that there was going to be anything wildly different about this one,” he said, making him just one more American less than enthused about a potential Clinton-Bush matchup in 2016. The interview also talks about Stewart’s early career, and his friendship with Maziar Bahari, the Iranian journalist who was arrested and tortured for speaking to The Daily Show and eventually became the subject of Stewart’s film Rosewater. Stewart also told The Guardian during an earlier conversation, before he had decided to leave The Daily Show, that if he did exit, “I would do what I’m doing. Whether it’s standup, the show, books, or films, I consider this all just different vehicles to continue a conversation about what it means to be a democratic nation.” So expect more civic-minded satire from Stewart in the future, whether it means writing and directing more films, or simply going on each individual CNN show and insisting it’s hurting America until the whole network mercifully shuts down.